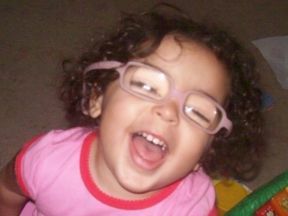 Eliana, 2 years old. She had congenital cataracts and has glaucoma. She wears aphakic glasses.